Johan Cullberg draws on his extensive experience working with those suffering from first-episode psychosis to investigate issues including vulnerability factors, phases of psychosis, prevention, the potential for recovery and contemporary attitudes to psychosis. Particular attention is paid to how therapeutic interventions can either support or obstruct the ‘self-healing’ properties of many psychoses. 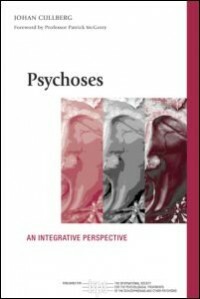 This sensitive and humane perspective on the nature and treatment of psychoses will be of interest to all mental health professionals interested in increasing their understanding and awareness of this subject.